Some of the most satisfying breakthroughs happen when technology gets used in a way it was never intended. While working with our graphic design group at Sasaki on ways to generate a dot pattern for a decorative screen, we came across some open-source software called StippleGen. Stippling is a way of creating an image by means of dots. 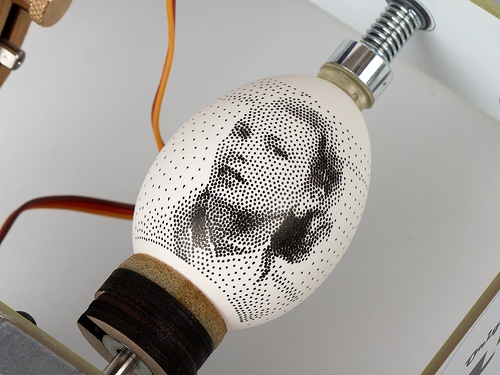 StippleGen was created to optimize stippling for, among other things, egg painting. The software does a great job of laying out dots with greater density on the darker areas of the image while keeping a comfortable spacing between the dots. What's more, the voronoi algorithm it uses gives an irregular, organic pattern. The ah-ha moment came when I realized this could be applied to a different problem, visualizing terrain; specifically, optimizing terrain meshes in 3D software based off elevation data (a.k.a. Digital Elevation Model (DEM)). So how do we get from eggs to terrain? A given terrain, unlike an egg, is typically a mix of high variation areas, like canyons, with more uniform areas, like plains or plateaus. A typical DEM heightmap can be seen in the following image (top left) alongside some more familiar, human-readable representations of the same terrain that you might see on maps. Shaded relief is a useful trick for representing terrain in 2D where the terrain appears to be lit from one side. One of the perennial challenges in visualizing complex networks is dealing with hairballs: how do you draw a network that is so large and densely interconnected that any full rendering of it tends to turn into an inscrutable mess? 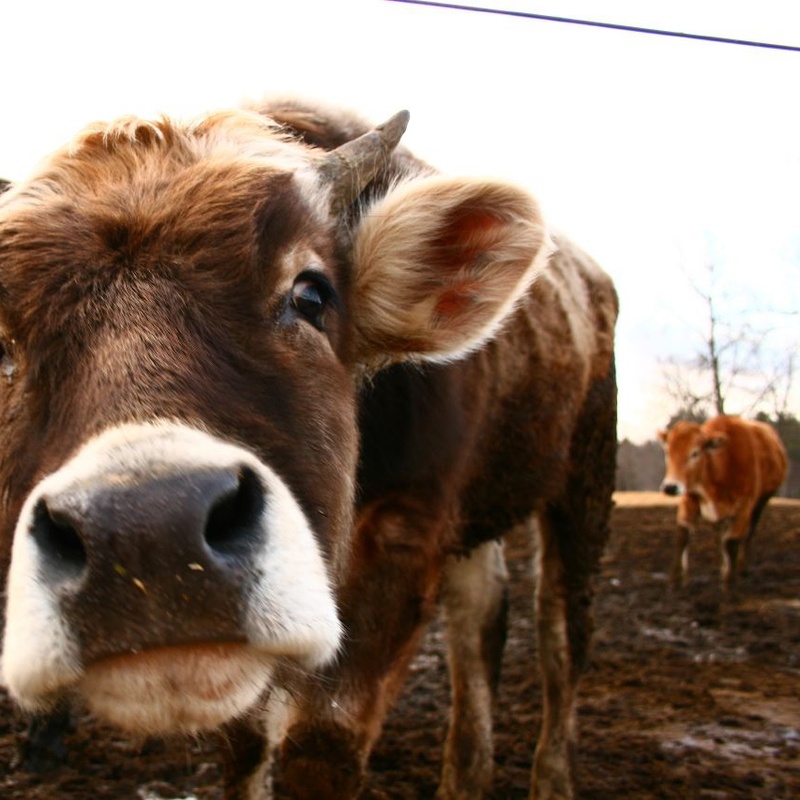 There are various approaches to addressing this problem: BioFabric, Hive Plots, and many others. 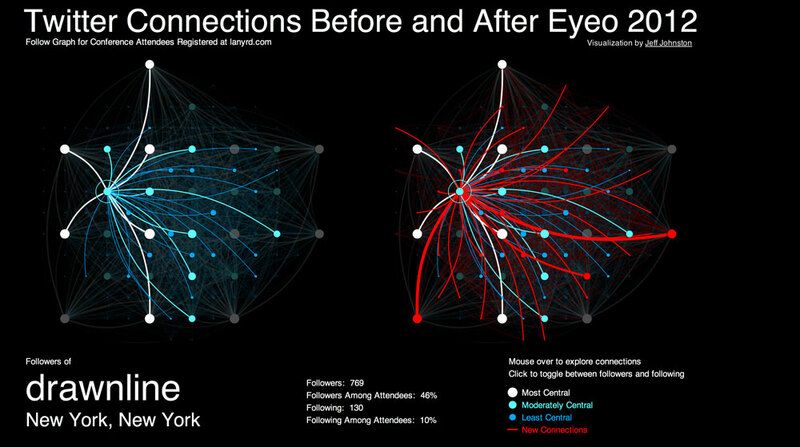 Most involve very different visual abstractions for the network. There is something compelling, however, in seeing the full, messy complexity of a network laid out in one image. Many of the alternate approaches have the disadvantage of being less intuitive. Most people are accustomed to inferring network structure from a collection of dots and lines; not so much from a matrix representation. I wondered if there wasn't a way to retain the immediacy and intuitiveness of, say, a force-directed layout, while somehow ordering it and stretching it out in a way that would give the important elements room to breathe. In this blog post I will describe an effort to find this middle ground.